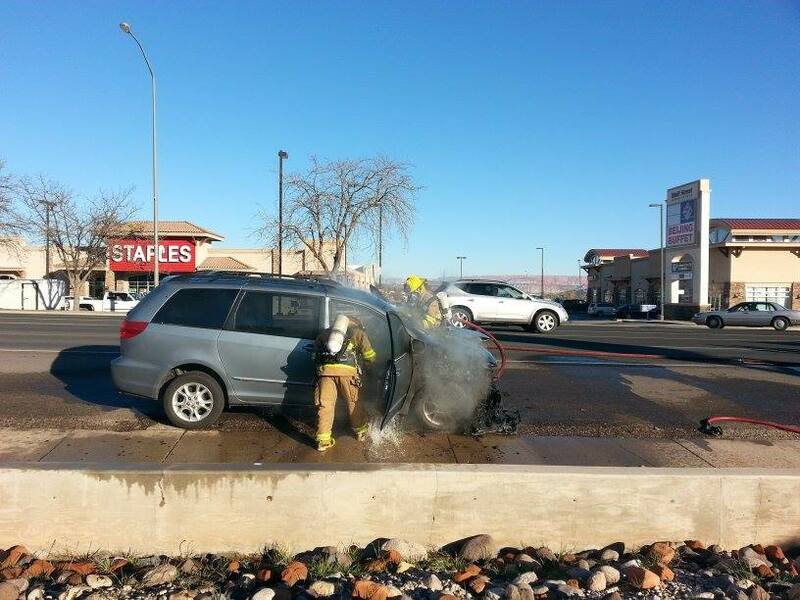 ST. GEORGE — A woman and children were traveling Bluff Street in St. George in a light blue Toyota Sienna van when it caught fire Thursday afternoon. 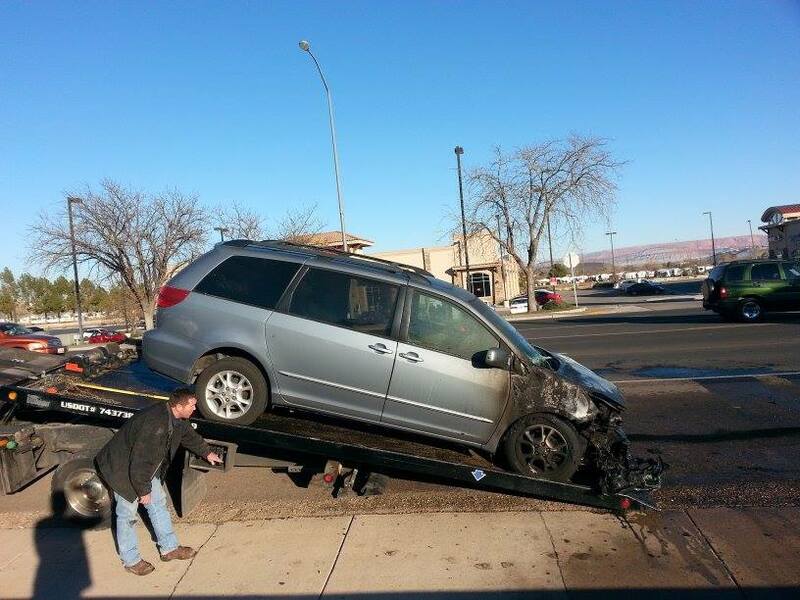 At 3:27 p.m. the St. George Fire Department responded to 950 S. Bluff Street in front of Zion Motors where the woman had pulled the van over and successfully removed her children without harm. 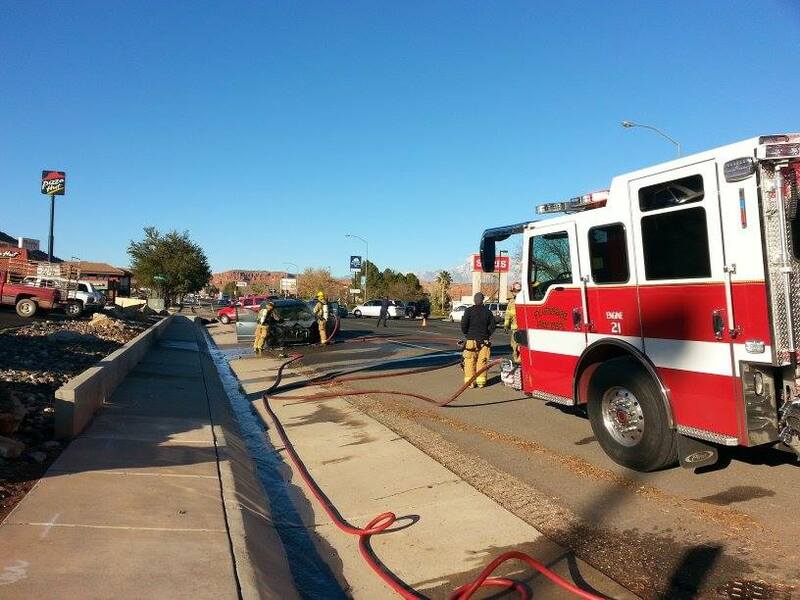 The fire was extinguished less than 10 minutes later and no injuries to the woman or children were reported. 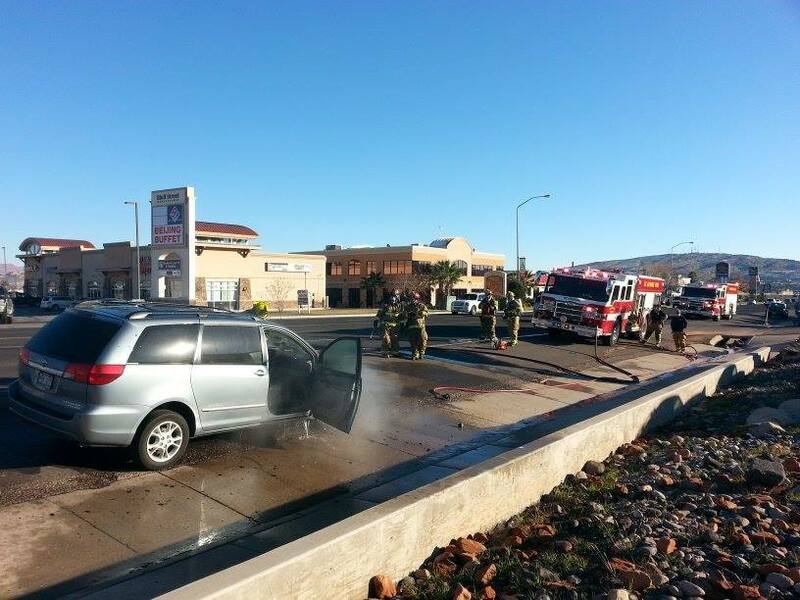 After the van caught on fire, the woman was able to pull the vehicle into a safe area on the southbound shoulder of Bluff Street in front of Zion Motors, Fire Department Battalion Chief Ken Guard said. She was able to evacuate her children from the vehicle safely and remove her belongings before they were damaged, he said. The inflamed vehicle did interrupt the flow of traffic for a short period as emergency personnel blocked two of the southbound lanes. 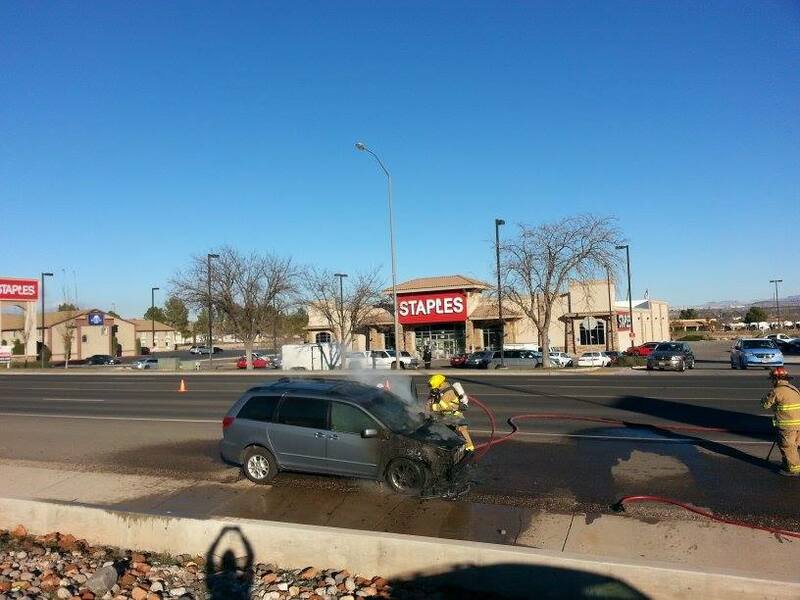 Once the fire was extinguished, the vehicle was towed from the site. The Fire Department’s investigation did not determine cause but did find the fire originated in the engine compartment, investigating captain, Jason Whipple, said. “It could be a combination of things that started the fire,” he said. In general, the cause of a vehicle fire is very difficult to determine, Guard said. 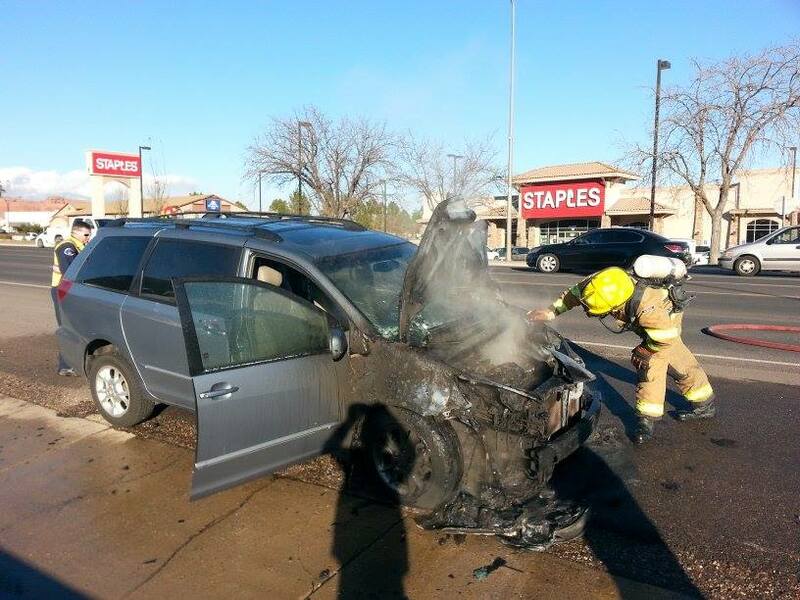 The St. George Fire Department averages approximately two vehicle fires per week, Whipple said. As a safeguard, he said, people should constantly keep their vehicles maintained and inspect them regularly. Ed. note: The vehicle described as a Toyota Sierra corrected to Sienna. Yeah combination of things, I could imagine the Van’s radiator is empty, that can cause an engine that’s overheating to ignite in flames as plastic parts in the engine compartment melts and electrical wiring exposed, thus creating sparks strong enough to start fire on melting plastic parts. Also, judging from the photo’s taken, the fire really did started close to the radiator. People needs to take care of their vehicles to avoid such incidents. It’s a Sienna minivan not a Sierra. Looks like you may be right, chupacabra. Thanks. I believe the van is a Toyota Sienna, not a Sierra. Looks like you may be right also, J. Scott. Thank you. Toyota’s have killed over 7 people in the last few years from mechanical failure they are not what they used to be back in the 90s. That’s why you buy Mitsubishi! Glad the family is all good and well. I would blame the mechanic that serviced the van last. They might have left a rag under the hood. All of her kids were in school. 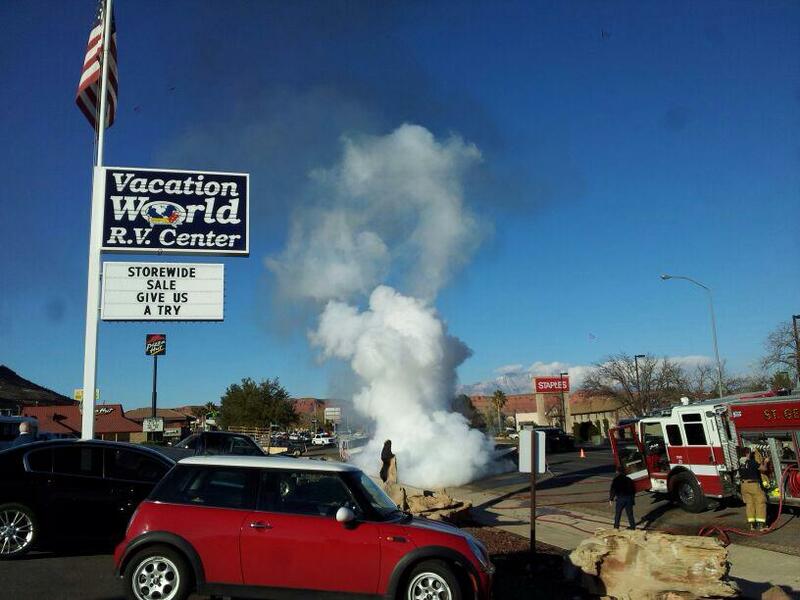 The car started to smoke and she stopped by Zion motors and she got out for some help. When she came back out it was in flames. They called the fire department and she waited. No big deal. There was no life threatening save of children or anything Major. I believe this is covered under the 3/36,000 mi warranty. I think that people tend to forget that most vehicles on the road use the combustion engine. We forget that there is always a chance that a fire could occur, properly maintained or not. What is important in this story, however is that the driver and all of her children were safe. I love what ya do for me, Toyota!